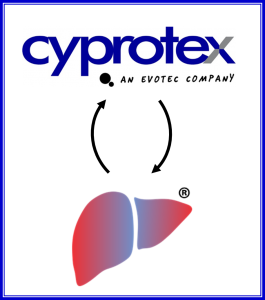 DILIsym Services and Cyprotex, an Evotec Company, have teamed up to enhance the quality of your toxicology predictions! DILIsym simulation results also help with selection of future in vitro assays to be completed, making the data collection / simulation cycle iterative. Team up with DILIsym and Cyprotex today and get more information out of your data! Visit Cyprotex here to get more information on their services directly, or engage them indirectly with DILIsym Services serving as your white glove, “one stop shop” project manager. Download a poster here showing use of Cyprotex data for DILIsym predictions.